Can I start off by saying – how freaking perfect is that cover? I’m in love with it, not only because it’s really nice looking, but because it goes perfectly with the story. OKAY. My mini- rant is over. 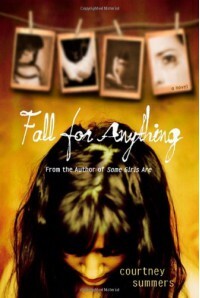 Fall for Anything is the second book by Courtney Summers that I’ve read, and it definitely will not be the last. I wasn’t expecting to love this book nearly as much as I do. I expected it to be good – I’ll give it that, but I didn’t expect it to be this good. Our main character, Eddie – is dealing with the loss of her father, having only died a few weeks prior to the beginning of the story – things are still pretty bad at her home. And it’s not even that her father has passed away, it’s that he committed suicide and left no explanation. Throughout the novel, Eddie goes through countless stages of the grieving process and is constantly wondering what it was that pushed him over the edge, and worrying that it was her that pushed him over the edge. The characters in this book were all so incredible and fully fleshed out. Eddie was this entirely unlikable character for the majority of the book, but then at the end you see how much of an incredible character she is. Does that make sense? It’s like there was this slow build up to her characters transformation, but then when it happens you realize it’s been there the whole time? I don’t know – it’s hard to describe and I’m obviously not doing a good job at describing it, but I tried. The secondary characters were just as incredible as the main protagonist. There’s Milo – the best friend who doesn’t know how to help Eddie and always calls her out on her BS. Beth – the mean friend of her mothers, who turns out to not be so mean. 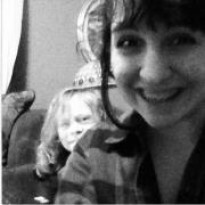 And then Culler. AH. Such a frustrating character. He just waltzes in and lures Eddie in by making her believe he can help her to understand her fathers suicide – and he does. In a way – it’s just strange and I cannot believe I didn’t predict it. So basically, Courtney Summers is a freaking genius – and I’ll read all of her books after this one. This review is written in a fairly poor manner, just because I couldn’t think of words to describe how I felt about this book.